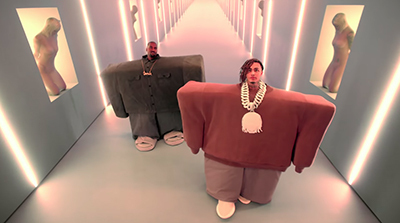 "I Love It" is a song by American rappers Kanye West and Lil Pump, featuring uncredited guest vocals by American comedian Adele Givens. The song produced by West himself alongside DJ Clark Kent and frequent Lil Pump collaborator CBMix, with additional production by Ronny J. In the United States, the song debuted at number six on the US Billboard Hot 100. "I Love It" reached number one in Canada, Finland, New Zealand and Sweden, as well as the top 10 in Australia, the UK and the US.